The Federal Trade Commission (FTC) requires manufacturers to attach a permanent label to textile garments that provides directions for their care. According to the 1972 Care Label Amendment, manufacturers and importers must list at least one method of safe care for a garment. The rule covers all textile clothing except footwear, gloves, hats, suede and leather clothing, and household items, such as linens. The Care Label Rule stipulates that the Care Label is easily found, will not separate from the garment, and will remain legible during the garment's useful life. 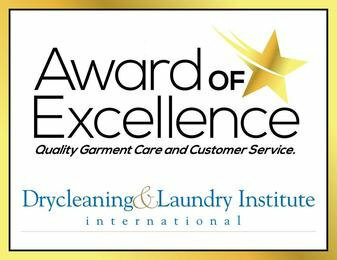 The label must warn about any part of the recommended care method that would harm the garment or other garments being laundered or drycleaned with it. It also must warn when there is no method for cleaning a garment without damaging it. MAY I REMOVE THE CARE LABEL? Textile garments are required to have a care label attached at the time of purchase so that you can take care instructions into consideration when you buy an item. Removing the care label entails some risk, as full information or warnings regarding proper care will no longer be available to you or your cleaner. The Care Label Rule was amended in 1997 to allow the use of care symbols on the care label. The symbol system that has been sanctioned by the FTC is the ASTM (American Society for Testing and Materials) Care Symbol System. The rule was also amended so that the "reasonable basis" standard by which the manufacturer determines the appropriate care information applies to the garment in its entirety. Dryclean: Uses normal drycleaning fluid found in any commercial or coin operated drycleaning establishment. The process may include moisture added to the fluid, hot tumble drying (up to 160 F), and pressing by steam press or steam air form finishing. Professionally Dryclean: Restricts the drycleaning process to methods possible only in commercial drycleaning plants. 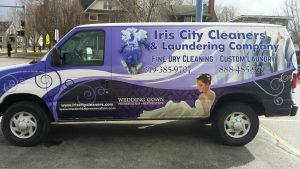 "Professionally Dryclean" must be accompanied by further information, such as "use reduced moisture," "low heat" or "no steam finishing." DOES "WASHABLE" MEAN IT ALSO CAN BE DRYCLEANED? If a garment's care label says "washable" it may or may not be safely drycleaned; there is no way of telling from the label. A manufacturer or importer is only required to list one method of safe care no matter how many other methods also could be used safely. The manufacturer or importer also is, not required to warn about other care procedures that may not be safe. The International Fabricare Institute (IFI) supports voluntary "alternative labeling" by manufacturers to inform consumers of all satisfactory care methods. If you request a method of cleaning not listed on the care label, a cleaner may ask you to sign a consent form. With or without the form, cleaners who accept garments for cleaning are obligated to clean them in a professional manner, to the best of their ability. WHAT IF YOU FOLLOW THE LABEL AND A PROBLEM DEVELOPS? If you or the cleaner follow the manufacturer's instructions and the garment is damaged, you should return the garment to the store you purchased it from and explain what happened. If the store will not resolve the problem, ask for the manufacturer's name and address and write to the company. You can also obtain the manufacturer's information through the RN number listed on the label. Provide a full description of the garment and state all the information that is given on the labels and tags. Estimate how many times the garment has been washed or drycleaned, and provide the full name and address of the store where it was purchased. You should also send a copy of your complaint letter to the Federal Trade Commission, c/o Correspondence Branch, Washington, D.C. 20580 or check out the FTC's web site at www.ftc.gov. The RN information is found under the Business Guidance section. You can look up the manufacturer by RN number or company name. The FTC cannot resolve your individual problem, but the information you and other consumers supply may reveal a pattern or practice requiring the Commission's attention. If you have purchased clothing that has no care label attached, you should contact the FTC, giving the name and address of the store and manufacturer.